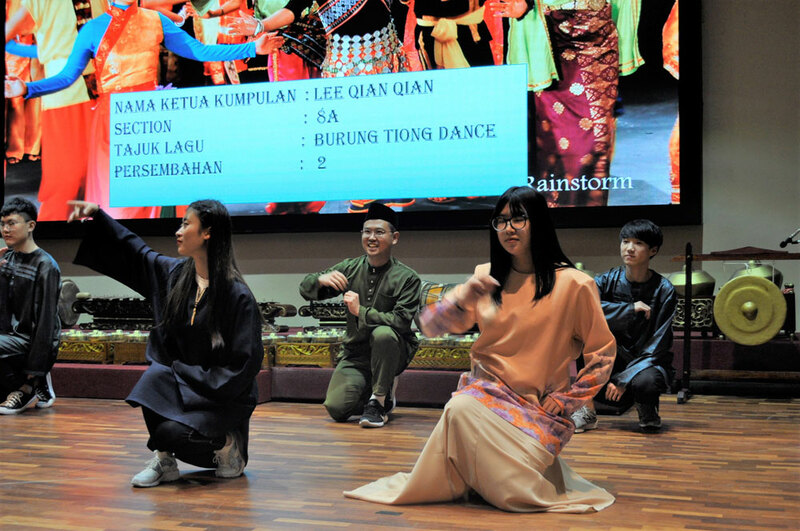 A sense of merriment filled the air as 460 students from INTI International University, Nilai, recently joined efforts to showcase their newfound talents in playing traditional Malay musical instruments and also performing a variety of traditional Malay dances. 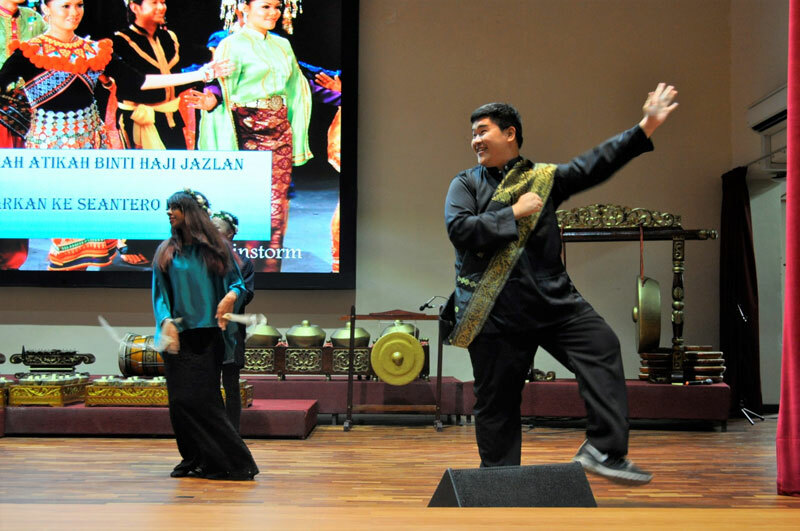 Prior to their grand performance and competition at the Multi-Purpose Hall on campus, the students underwent several months of training by both internal and external trainers, as part of their General Education Subjects (Mata Pelajaran Pengajian Umum), a pre-university qualification for private universities in Malaysia. 360 local students undertaking Islamic and Asian Civilisations (Tamadun Islam dan Tamadun Asia) and 100 international students doing Malaysian Studies put up a captivating performance for faculty members, family and friends as they also pitted their skills against each other to be declared champions in their respective categories – gamelan and angklung, cak lempong and kompang and traditional Malay dance. Winners were awarded with hampers containing products by Agromas, which was sponsored by the Federal Agricultural Marketing Authority (FAMA), worth between RM50 to RM100.